At Aspire we do not judge who is right or wrong after a relationship breaks down. Our role as mediators is to establish the impact of what has happened on the child concerned, and to discuss what should be done to end or lessen any harmful impact. Contact us today! At its simplest, parental alienation can be defined as behaviours that one parent does to hurt or hinder a relationship of a child or children with the other parent. Alienating behaviours often include one parent limiting contact, badmouthing or even belittling the other parent, creating the feeling that the other parent doesn’t love the child/children or forbidding any talk of them. At its worst, it can transform into irrational contact denial where one parent tries to force a child or children to reject the other parent. There are times when children can side with the parent with whom they spend most time. Where parents are constantly fighting, children may rather reject one parent than face the prospect of being with two warring parents. Richard A Gardner, an American psychiatrist, coined the term Parental Alienation Syndrome in 1985 to describe the effect on those behaviours on children. But this is not a concept that’s accepted on UK courts, and is not generally acknowledged by British medical community. Since then, the trend has been that researchers don’t focus more on parental alienation as a syndrome that can be diagnosed, but rather look at why the alienation occurs and how. They tend to view alienation as a collapse of the normal attachment between child and parent. It’s worth remembering that in certain circumstances, for instance when they have experienced domestic violence, or where they have been abused by one parent, the separation of a child from the abusive parent could be beneficial and rational for the child. Fortunately, these are not common cases and majority of people we meet during mediation acknowledge that the other parent plays a significant role. In a recent study scholars Joan Hunt, Lesley Scanlan and Jane Fortin examined interviews with 358 children whose parents broke up before they were 16, in a bid to get their views regarding their parents’ separation and the kind of contact that they had with them after separation. According to the study, there is no evidence to support the popular misconception that children resist contact with their fathers because they are pressurised to do so by their mothers. While such manipulations were reported, they were extremely rare. The study revealed that children who resisted contact visits did so not because they were brainwashed, but because of their own reasons. This was mainly in response to the behaviour of non-resident parent. The study further revealed that the most important way to prevent alienation of one parent from the child is the kind of relationship that the parent had with the child before separation, as well as how the parent spends the time they have with the child/children after the separation. As we often tell our clients, children can say to each parent what they want to hear. So it’s common for a child to report false criticism from the other parent. One way that we try to prevent this is by working with our clients to improve communication between them. This will avoid a situation where the children act as messengers. Effective communication between parents reduces chances of misinterpretations of their actions. According to a 1999 study by Judy Smith, attempted parental alienation is detrimental to the relationship of a child with both parents. According to the scholar, children are highly sensitive to relationship between their separated parents. If their parents are unable to cooperate, critical or angry at each other, children will exhibit disorganized attachment to both of them. They tend to lose trust in either of the parents. They feel insecure all through. 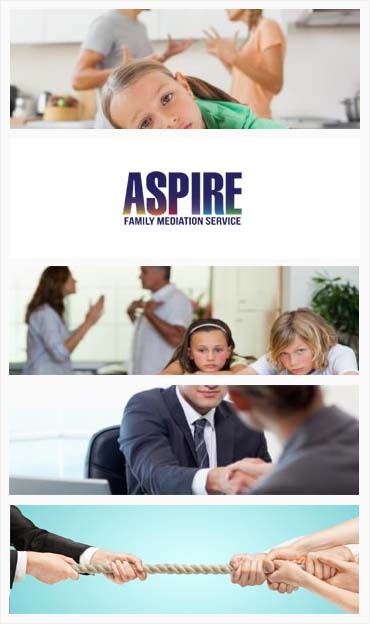 As mediators, our work is not find out whether there is parental alienation or not, or to judge the right or wrong of aspects of the cases that we come up against. Rather, we explore with both parents how their behaviours can impact the children. To do this, we implore on them to respond to the concerns of the other parent, and we try at all times to bring their attention back to their children’s experiences and thoughts.